Amid calls for ways to punish and deter hackers without sparking a so-called “cyber war”, a panel of experts assembled by the George Washington University Center for Cyber and Homeland Security said in a report this week that US policies should be eased to allow “active defence” measures by both the government and private sector. However, it stopped short of endorsing the idea of “hacking back” to disable systems used by attackers. The panel envisioned measures such as taking down “botnets” that disrupt cyberspace, freeing data from “ransomware” hackers and “rescue missions” to recover stolen data. The report follows a wave of high-profile attacks against US companies and government databases, and after Washington accused Russia of using cyberattacks to attempt to disrupt next week’s presidential election. It comes after President Barack Obama called for a “proportional” response to Russia, while leaving unanswered whether this would mean a cyber attack or measures such as diplomatic or economic sanctions. “We are shooting so far behind the rabbit that we will only hit it if the rabbit makes another lap and comes back to where it was,” he told a conference presenting the report. Some proposals call for private security firms to be “deputised” to carry out legally sanctioned hack-back operations when private firms are victimised. “Department stores hire private investigators to catch shoplifters rather than relying only on the police. So too private companies should be able to hire their own security services,” said a Hoover Institution paper written by scholars Jeremy Rabkin and Ariel Rabkin. There should be a list of approved hack-back vendors from which victims are free to choose. Juan Zarate, a former White House national security advisor who now works with the Foundation for Defence of Democracies, said such a model for action could be based on the early days of the republic when Congress issued “letters of marque and reprisal” for private merchant ships to bring in maritime pirates. In an essay last year, Zarate called for a “cyber-privateering regime that rewards, enables, and empowers the private sector to help defend itself in concert with government”. Nuala O’Connor, president of the Center for Democracy and Technology and co-chair of the GWU panel, argued of unintended consequences of authorising companies to break into outside computer networks. “I believe these types of measures should remain unlawful,” she wrote, adding that it remains difficult to be sure of cyberattacks’ sources. The risks of collateral damage to innocent internet users, to data security, and to national security that can result from overly aggressive defensive efforts needs to be better accounted for. “What I worry about is a terrorist entity creating an attack that appears to come from a nation state that creates a public push for some hack back and that leads to a live shooting cyber war,” he said. “We’ve told people the internet should be based on the rule of law, and (hacking back) would undercut that,” he said. The question you always want to ask is whether this would make cyberspace more or less stable. This would make it less stable. Patrick Lin, who led a study this year for California Polytechnic State University on the ethics of hacking back, said there is “a moral case for hacking back, but an underdeveloped case for its legality and effectiveness”. 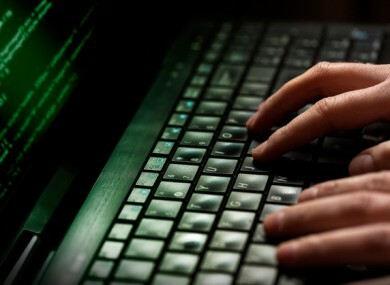 Email “"Hack-back vendors" and private security firms could be used to fight cybercrime”. Feedback on “"Hack-back vendors" and private security firms could be used to fight cybercrime”.